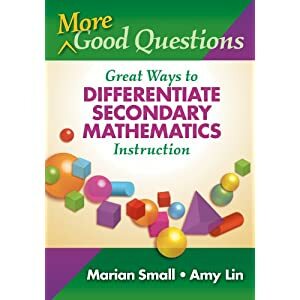 More Good Questions, written specifically for secondary mathematics teachers, presents two powerful and universal strategies that teachers can use to differentiate instruction across all math content: Open Questions and Parallel Tasks. Showing teachers how to get started and become expert with these strategies, this book also demonstrates how to use more inclusive learning conversations to promote broader student participation. Strategies and examples are organized around Big Ideas within the National Council of Teachers of Mathematics (NCTM) content strands. With particular emphasis on Algebra, chapters also address Number and Operations, Geometry, Measurement, and Data Analysis and Probability, with examples included for Pre-Calculus. Underscores the rationale for differentiating secondary math instruction. Provides specific examples for secondary math content. Describes two easy-to-implement strategies designed to overcome the most common DI problems that teachers encounter. Offers almost 300 questions and tasks that teachers and coaches can adopt immediately, adapt, or use as models to create their own, along with scaffolding and consolidating questions. Includes Teaching Tips sidebars and an organizing template at the end of each chapter to help teachers build new tasks and open questions. Shows how to create a more inclusive classroom learning community with mathematical talk that engages.